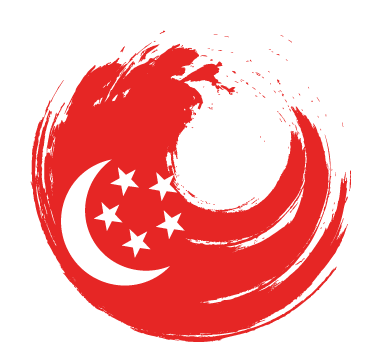 According to an EY survey, 75 percent respondents pointed data leakage and data loss prevention to be a major concern for Singapore businesses, while security testing for attack and penetration, and identity access management were ranked lower. In 2014, Singapore saw a fine of $50,000 levied on KBox for its weak security system that lead to a loss of the name, contact number and residential address of 317,000 customers. Under the Singapore Act for Information Security, organizations can be fined up to $1 million if they fail to secure their customers details. The key here is to take appropriate steps and measure to first, create and uphold a vulnerable free system and two, to ensure the breaches and attacks can lead to minimum loss. Adequate and formal training in Information security domain, management solution in the same field and security measures to mitigate threats are the major and fundamentals in any Information Security team of an organization. EC-Council certifications help in evaluating not just logical, but the physical security aspect of the system and through training and certifications like online ethical hacking certifications and cyber security training Singapore, one learns and acquires skills on how to safeguard system network and application. The Certified Ethical hacker course or CEH Certification Singapore training by EC-Council is the necessary, basic and most advanced course in the Information Security space when it comes to safeguarding system and network security for any organization. A comprehensive study on firewall, DNS, honeyspot invasion technique, cryptanalysis, security audit, vulnerability assessment, penetration testing roadmap, footprinting, network scanning and various other methods of scanning, testing and assessing, the ethical hacking course Singapore provides the complete structure and systematic method of how a hack takes places. With such knowledge gained from ethical hacking training, application of the tools to hack a system and discovering system, network and data vulnerabilities provides a logical and practical way of securing the system in itself. The online CEH certification Singapore prepares you for EC-Council Certified Ethical Hacker exam 312-50. EC-Council organizes sessions on various topics of information security pertaining to certified ethical hacking Singapore, pen testing, basic system security, internet security etc across various locations. To find out more about online CEH certification Singapore and register for a class at your nearest location, Click here. All courses are available online, at training centers and client-site. EC-Council (International Council of Electronic Commerce Consultants) is the world leader in IT Security Courses – Information Security, Network Security, Computer Security and Internet Security Certification and Training. EC-Council’s flagship course Certified Ethical Hacker, CEH set the standard for what the world has come to expect from ethical hacking IT Security courses. EC-Council delivers its Certified Ethical Hacker, CEH ethical hacking IT Security courses via its channel of over 500 training locations in over 92 countries and is the undisputed world leader in Information Security, Network Security, Computer Security and Internet Security training and courses. The Information Security community has grown to see EC-Council as its most trusted source for vendor neutral Information Security training. As the world leader in ethical hacking and Information Security training and certification, EC-Council offers information security courses and certifications in all of the major information security disciplines including Ethical Hacking,Computer Security, Network Security, Application Security, Internet Security, Vulnerability Assessment, Penetration Testing, Computer Forensics, Intrusion Detection, Network Security Essentials and Security Fundamentals security courses. For those Information Security Professionals who are concerned with practical, hands on experience, EC-Council’s security courses are designed with an over 80% hands on element, so you will learn the latest tools that are deployed by professional vulnerability assessment/ pen testers.